We’ve been receiving and pushing out different news and info about the upcoming blockbuster smartphone, the Infinix Note 4 with the code name Infinix X603, but none is as big (and shocking?) as the one I’m about to reveal to you. Yes, you saw it right in the title; the Infinix Note 4 or its higher variant, the Infinix Note 4 Pro will be sporting 6GB of RAM alongside a large 6-inch display like its predecessor. 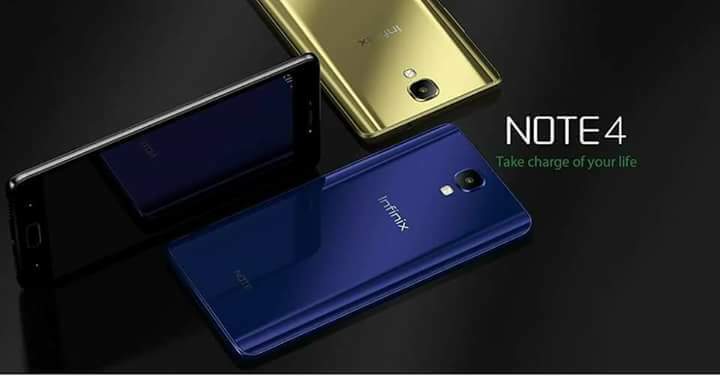 This we know thanks to a recent GFX Benchmark listing which reveals many specifications about a smartphone called the Infinix X603, and if you have been following our series of articles on the upcoming Infinix smartphones, you’d know that the Infinix Note 3 which broke the smartphone market in Africa has a code name X601, so this listing is probably for the Infinix Note 4 Pro. If there’s anything to be trusted in terms of info about an upcoming smartphone, it’s a benchmark listing. The GFXBench listing of the Infinix X603 helps us to know that the smartphone would come with a large 6-inch display screen with a Full HD (1920 * 1080) pixel resolution. We also know, now, that the smartphone would be powered by an octa-core Helio P25 (MediaTek MT6757CD) processor with a clock speed of 2.3 GigaHertz. It will come with a whopping 6GB RAM size, joining the likes of the Samsung Galaxy S8 and OnePlus 5 in the list of smartphones with such a big processor memory. File collectors are well taken care of, as the X603 would come with 64GB of internal memory which can be further expanded via its microSD card slot. It also has a Mali-T880 GPU for handling its graphics. Other details revealed by the benchmark listing include a 12MP rear camera with Full HD video recording and a 5MP front camera. This alone makes me suspect that this listing is for the base Infinix Note 4 variant, but I’ll keep my hands crossed pending its official launch next week. Apart from the RAM size, another interesting thing this listing reveals is that the smartphone would run on Android 7 Nougat Transsion Edition. In case you didn’t know, the company behind the production of Infinix, Tecno and Itel phones, so we could be seeing a blend of XOS (Infinix custom UI), HiOS (Tecno custom UI) and the light custom skin used on Itel phones, or a version 3.0 of the much-loved XOS UI. An exclusive news revealed, some days ago, that the Note 4 would come with a Stylus pen known as the X-pen. We also know that the smartphone would pack a 4300mAh battery with XCharge for fast charging. 6-inch FHD (1920 * 1080) display with Corning Gorilla Glass protection. Octa-core 2.3GHz Helio P25 (MediaTek MT6757CD) processor. 12MP rear camera with LED flash.